"A punch bowl of rainbow colors and froth. Good for any get together with family and friends." In a large punch bowl, pour in the lemon-lime soda. Slide in the sherbet. Add crushed ice. We love this. The only change I make is to omit the ice. 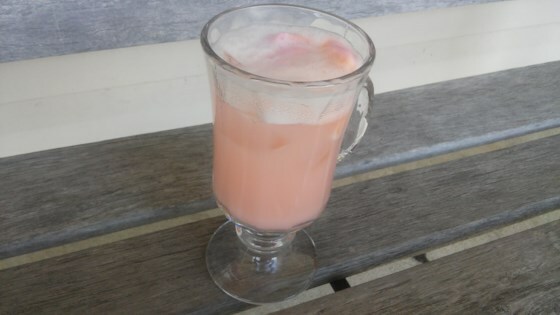 I just scoop the sherbet in the glass with the soda and it is wonderful. We love it with orange sherbet!! !